On December 22, 2017, the Science Departments of the College SF section organised their annual ISR activity, JIDNYASA, which is aimed at giving higher secondary school students knowledge of the various fields and career options available in the fields of applied science. 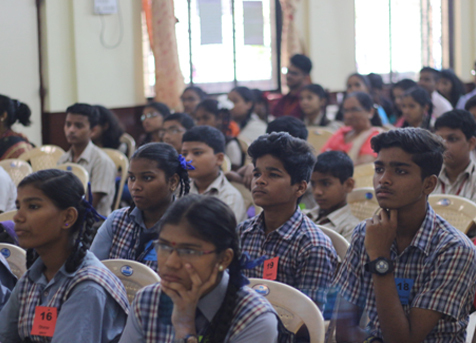 A total of 16 teachers and 97 students from 9 schools in the vicinity of Goregaon, Malad and Kandivali, as well as from Chikitsak Samuha’s Shirolkar High School, Girgaum, participated in the event. 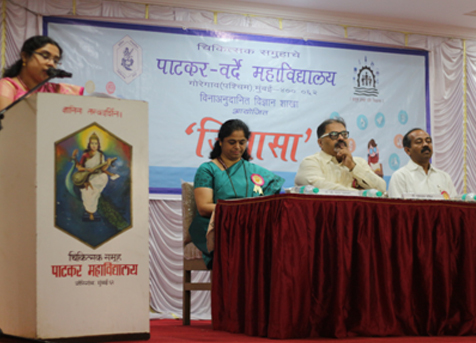 Dr. Gurunath Pandit, Secretary, Chikitsak Samuha, and Mr. Rajendra Gosavi, Head Master, Shirolkar High School, graced the occasion with their presence. 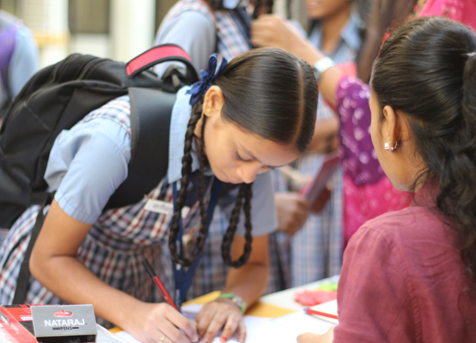 The participating students were taken to visit the Departments of Aviation, Information Technology and Computer Science, Microbiology and Biotechnology. The College SF Faculty Members and Students conducted demonstrations and lectures to explain various concepts to the school students. The Departments of Information Technology and Computer Science had set up demonstrations in 4 labs, focusing on various domains of the subject, such as Embedded Systems, Magic of Data, Artificial Intelligence and Hardware. In the Departments of Microbiology and Biotechnology, concepts in biotechnology and food technology, microbiology and immuno-diagnostics,and plant tissue culture, were discussed and simple experiments were conducted. During the visit to the Department of Aviation, different parts of an airplane and cockpit were explained, and information about the criteria to become a pilot, and the career opportunities available, were given to the students. 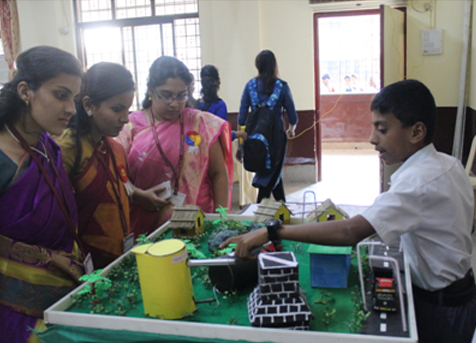 A Science exhibition was also organised in the College Auditorium, in which the students of Shirolkar High School displayed and explained their projects based on science and technological applications. The students were given certificates of participation, and each school was presented with a set of books for their library. The feedback from the participating teachers and students was excellent.